Don’t miss out on cash back when you improve energy efficiency. Are you weighing the cost of adding a heat pump, windows or making any energy efficient upgrade? If so, the total cost is not what is written on your contractor’s estimate. A more accurate way to compare options is to include the installed price of your upgrade, less the cost of the energy you will save and cash rebates or tax credits you can receive. Those savings can make the more expensive product cheaper in the long run. For example, consider a new air source heat pump – good for both heating and cooling your house. You can buy an energy efficient heat pump that is rated at 8.5 HSPF (a measure of heating efficiency). Or spend less for one rated at 6.8 HSPF. However, the high efficiency heat pump uses 24% less energy, and over a 15 year average lifespan this is a substantial savings on your utility bills. But it’s not all you can save. Only the 8.5+ HSPF heat pump qualifies for a rebate from local utilities ($200-$400), plus a $300 tax credit, for up to $700 saved. Don’t forget to add those savings when comparing total cost. Here’s another example. A standard (80% AFUE) furnace will have a lower installed price than a high efficiency (95% AFUE) furnace. However, the 95% furnace uses about 30% less energy, and over a 15 year average lifespan, creates significant savings. Only the high efficiency 95% furnace qualifies for federal tax credits and utility rebates putting an extra $250 back in your pocket. That savings combined with contractor discounts and the energy cost reduction might make the 95% furnace a good choice. The government and our utilities offer rebates that can make some of the more expensive, higher efficiency products more cost effective. They do this because it costs them less to pay you an incentive to use less energy than to build new power plants. So take the cash! 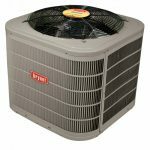 Air Source Heat Pump: Utility rebate $200 – $400 plus tax credit of $300. EnergyStar qualified windows: up to $200 tax credit. And some limited utility rebates. Other combinations of tax credits and rebates include: up to $1300 for insulation, $450 for a tankless water heater and $1100 for a ductless heat pump system. 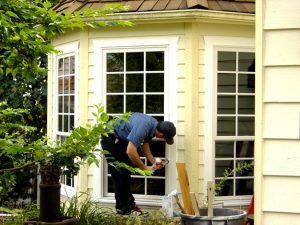 Exterior doors – up to $500 tax credit. Air conditioning – $300 tax credit. Natural gas conversion, up to $3950 from PSE. We’ve listed the top rebates from Puget Sound Energy, Seattle City Light, Tacoma Power and Snohomish PUD on our website (click here). Restrictions apply and they do change frequently. Federal energy tax credits are available if you haven’t already taken one. Be sure to consult your tax advisor to determine your eligibility. Looking for kitchen appliance or CFL rebates, check out your utility’s website directly. Most electric utilities have them and some give away free bulbs.